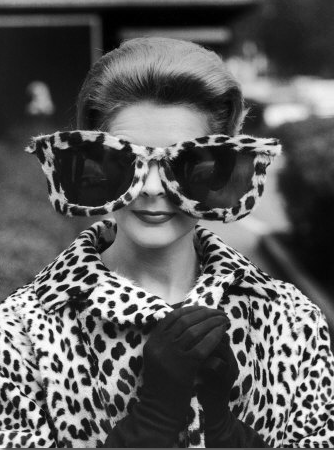 Leopard is THE animal-themed print of the year (not that it wasn't last year too). 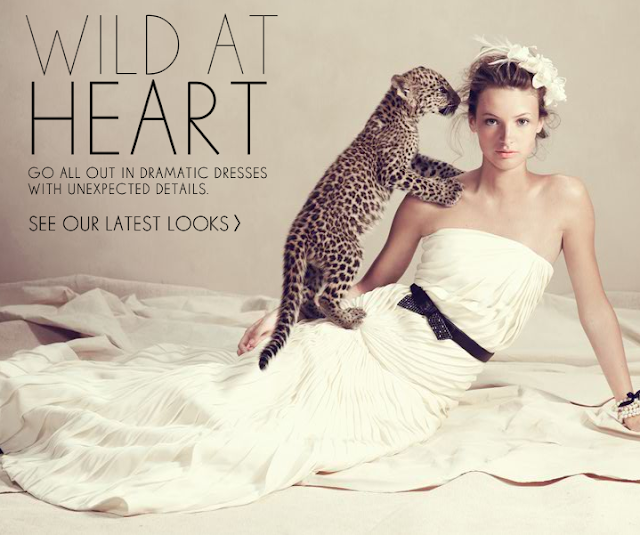 But what could be more dashing (and animal-friendly) than a LIVE leopard as a fashion accessory? Didn't you know? Teensy dogs are SO last season. Teensy-dog-eating beasts of prey are NOW. It's certainly been done before... in the Golden Age of Hollywood, to be exact. 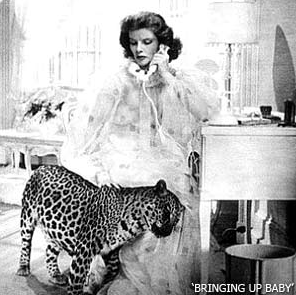 The movie Bringing Up Baby is Katherine Hepburn's "lady of the mad manor" moment - remember her in The Philadelphia Story, swanning around the manse in a hilarious send-up of poor reporter Jimmy Stewart's impression of what the high life is like? 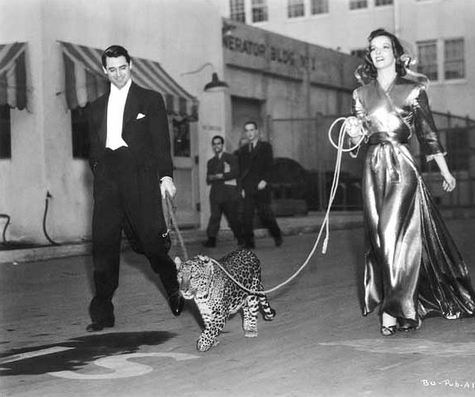 In Bringing Up Baby, Hepburn's giddy, touchingly demented socialite takes center stage; escorted by a leopard named "Baby" she drives everyone to distraction (including, of course, the dashing Cary Grant). All ends well for everyone - including Baby - who is rewarded with steaks for not eating any of the local peasantry. 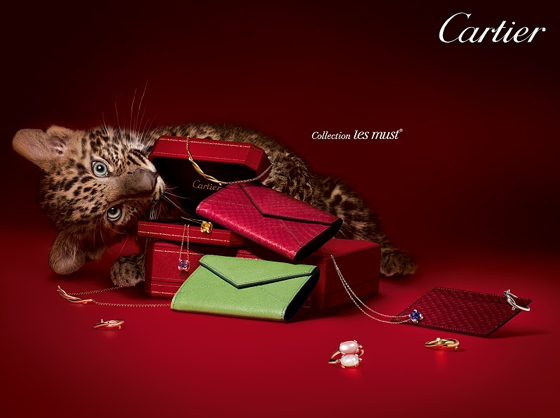 Cartier's holiday ads this season equate little tiggers with big expense (but where is the jeweled collar, Cartier?). WARNING: baby leopards will eat your accessories. Do not try this at home. J.Crew - of course - is right on trend, featuring this DARLING five month old baby leopard in their current campaign. If I had Hepburn's dressing gowns and a spare freezer full of steaks, this would be my new pet. Also, I'd probably need a lot of band-aids. If you are so terribly tame that this fashion season will not include you turning your abode into a Kenyan game preserve, the retailers of America are here to help. Pick from jewellery, accessories, and dresses - but remember, a little spot goes a long way! P.S. Know the difference between a leopard, an ocelot, and a cheetah? Neither do I. If I've confused any of these creatures in this post, my apologies to the Animal Kingdom. And, FYI, I don't taste very good. 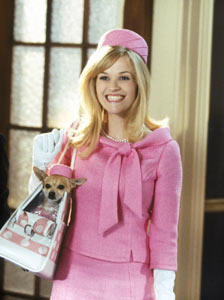 /Images/ June Pickney/ Elle Woods/ J.Crew/ Cartier/ Hepburn and Baby/ Hepburn and Peck/ *Jewellery is a sponsored link. 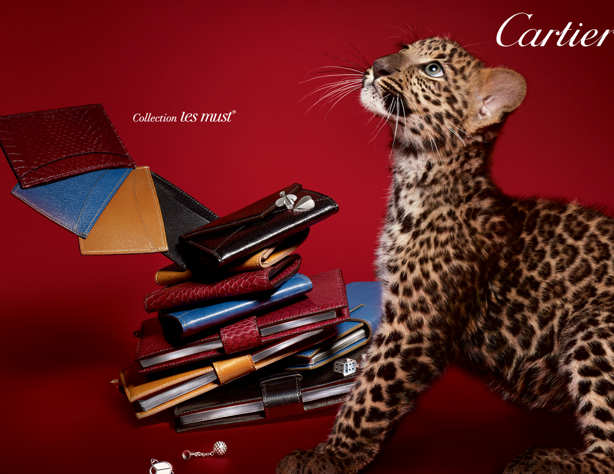 I lovw leopard print, and the Cartier ads are the most adorable that I have EVER seen. Thank you for shaing these precious images. At the risk of sounding heartless, I prefer my leopard in the form of shoes or a handbag...or maybe a belt. That said, they make adorable props for fashion shoots! I think I need to drive to Pennsylvania to see that little leopard in person. 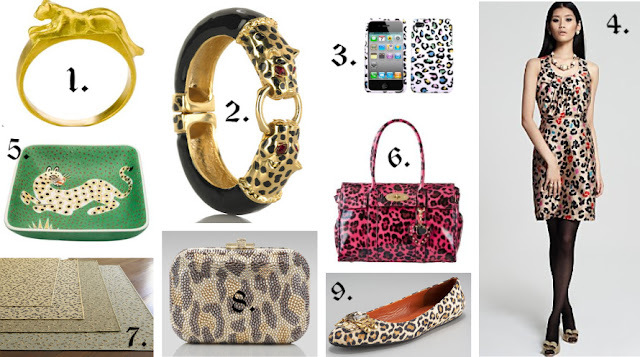 I'm a fan of leopard print, especially shoes.. they takes an outfit from drab to fab. While I love the idea of having a baby leopard running around, I think I will have to stick to my leopard flats! lovely post! great before & afters. nice job!! GOrgeous post as well the before and after! what a great angle on a familiar trend. Love that first photo. How on earth did you find it?